Location: Rotary River Center, Riverside Park, 1160 S. Riverside Drive, Beloit, WI. 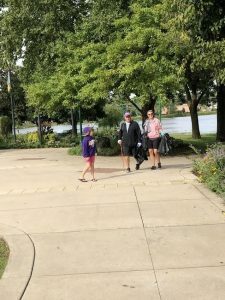 On September 8, 2018, the Protect Wisconsin Waterways team lead a sweep across 6 municipalities to clean up pollutants that harm our freshwater resources. The event in the City of Beloit was a huge success! 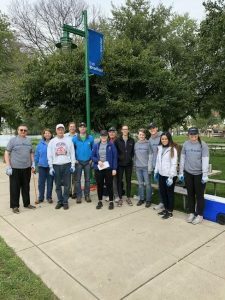 In the City of Beloit, we had 25 volunteers help clean the area of harmful pollutants. In addition, the Protect Wisconsin Waterways crew interacted with 14 people who did not volunteer for the event, but were in the area. The 25 volunteers collected 11 bags of garbage and debris that could harm our freshwater resources.